Ask a Walmart Expert: Does Walmart Double Coupons? 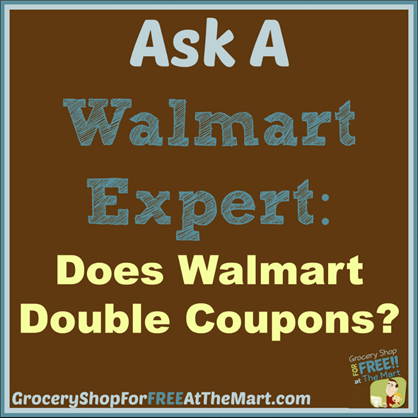 For most of us Walmart will not double our coupons, we are just stuck getting the face value. However, Walmart launched a pilot program in Utah about a year ago that for what ever reason has neither been stopped nor allowed to spread. When this story first came to light, it was assumed that this was a trial balloon and if it succeeded we would see it rolled out to the rest of the nation. Needless to say, that hasn’t happened. So if you are a Utah county resident, congratulations. I envy you and your savings. For the rest of us, we are just stuck getting to do all this. On small note, when this program was first introduced, you could only double on Tuesdays. It has since been moved to Wednesdays.